Most adults use estimation and calculators to do their daily math, rarely do they get out a piece of paper and pencil, yet so many of us view this as what math really is: worksheets or textbooks. We want all students to be fluent in their basic facts, and many people think that means just memorizing by using flashcards, worksheets, etc. Fluency actually means: efficient, accurate and flexible. Flexibility is where we need to do more than memorize and extend further, to deeper understanding. Flexibility means that a person would choose a strategy that is best suited to the numbers. Here’s an example: If I wanted to mentally calculate 78-52, I would just subtract the tens and then the ones as the numbers lend themselves to this strategy (70-50 = 20 and 8-2 = 6 so my answer is 26). However, if the numbers were 101-97, I would ‘add up’ or find the distance between the numbers (image them on a number line) to get 4. 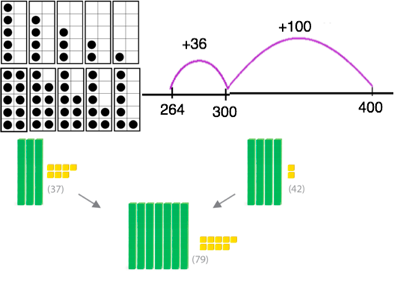 There are quite a few great strategies for subtraction that DO NOT involve regrouping and that are much more oriented to developing number sense. Many adults don’t know these well because they only learned the traditional way and so subtracting mentally is quite challenging as they often need to ‘borrow’ etc. This is way too taxing on the small working memory, especially for children, whose working memories are not yet fully developed. So, how do we become flexible thinkers? First, we allow students to problem solve and find strategies that work for them and then we provide lots of opportunities to practice the various strategies until they are efficient and accurate. 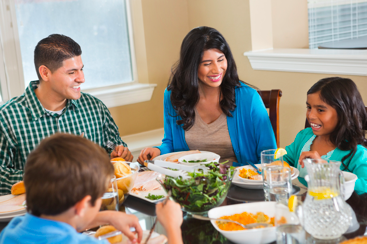 This can be done in the car, while cleaning their room, sitting around the dinner table, out on a family walk, etc. Praise their effort, creativity and math reasoning rather than getting the answer quickly. Accuracy is important so congratulate that too but really praise the process as much as possible. Did they really struggle and persevere? Did they get it wrong a few times before figuring it out? Celebrate this resiliency! Did they do something creative? Did they connect it to something else to help them solve it? All of these are worthy of praise. See our parent page for a list of strategies that students may use if you are unsure of what kind of strategies might exist (especially for those of us who grew up memorizing our facts, without strategies – note: the list is not in any way exhaustive). Many ask why we can’t just get students to memorize their facts, why bother with the strategies, especially when they seem challenging. There are a number of reasons for this. I’m not going to get into too much detail here but in order for students to use these facts in the future, they must understand them on a deeper level. Also, if they forget some facts (which absolutely happens) then they are totally stuck without strategies. Students need basic number sense and this is developed through understanding how numbers relate to each other, how they can be broken down and put back together and patterns within our place value system and this is developed by using the strategies, including lots of visuals! 10 Frames are great for adding and subtracting. Using blocks or pictures also help so many students to understand multiplication and division. If your child is struggling with the mental strategies then use visuals until they have constructed an understanding of the strategy. 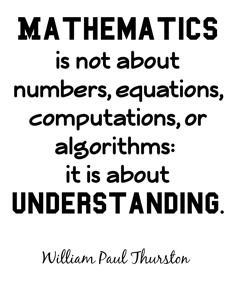 One final note: math (like any new learning) is supposed to be challenging. Let’s re-frame the struggle that happens when we are grasping a new concept from something bad or wrong to something good and expected. Think about something you’ve learned how to do recently…you probably found parts confusing, got a bit frustrated (or a lot), made mistakes, figured out where you were going wrong and eventually felt like you understood the process much better. 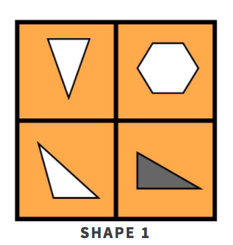 For some reason, we worry when children go through this process in their math learning. I’d be worried if they didn’t find it challenging or difficult at times (this means we’re not challenging them adequately). Embrace and celebrate challenge (think growth mindset!). Remind kids that when they are really challenged their brain is growing and getting stronger! 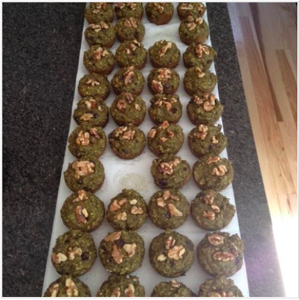 You can also engage in very open thinking tasks like “Make 20 in as many ways as you can”. There are thousands of right answers and you can push them (depending on their age) to use different operations to stretch their thinking. Again, ask how they know their answer is correct. 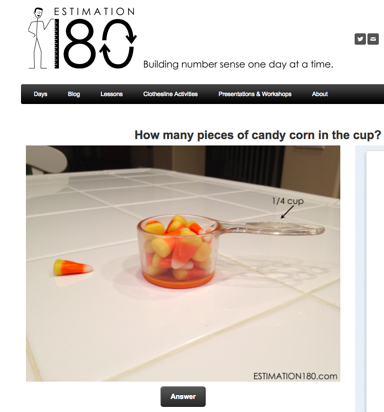 1) Estimation 180 http://www.estimation180.com/ There are hundreds of images on this site that ask you to simply estimate. You can fill out the form to compare how others did it or you can just talk about it as a family and then press the answer button to see who was closest. The power comes from discussing how you came up with your estimate. Many children don’t know how to estimate and this skill is a huge component of having number sense. It’s also such a valuable life skill! 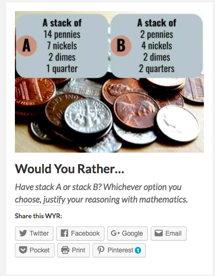 You will gain so much insight into your child’s mathematical understanding by using this site. 2) Which one Doesn’t Belong? (http://wodb.ca/) There are 4 choices and you must decide which one doesn’t belong. The cool thing about this one is there is no right answer! You could argue any of them as long as your reasoning is sound. This way we can build success and explore how differently we all view things. Some are geared to high school, so choose ones that you think are appropriate. 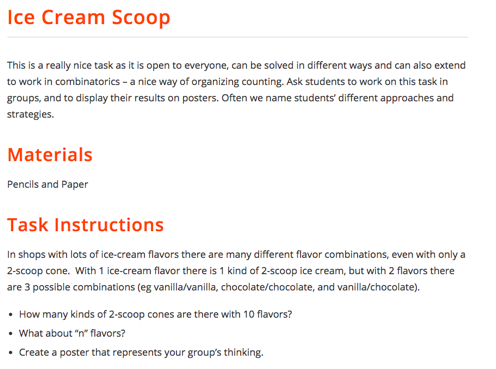 Simple ones are still appropriate for high school students, especially if your child is feeling frustrated with math – this can open it up for some creativity and personalization. 3) Would you Rather? (http://www.wouldyourathermath.com/) There are choices based on sizes, quantities, price etc. Even younger children can play this game (they don’t need to know about rates or even be correct; it’s about engaging in the math thinking and reasoning). 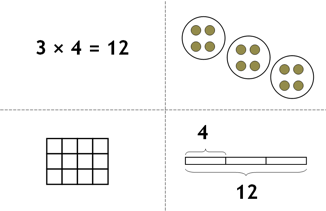 4) Number Talk Images (http://ntimages.weebly.com/) This is a site filled with images that you can show and ask ‘how many?’ and then ‘how did you figure it out?’. For any children over the age of 7, I ask them not to count by ones, so I’m encouraging them to group the items in some way that makes finding the total more efficient. Again, it’ll be illuminating for you to see how your child thinks mathematically. Feel free to share your strategies but be mindful of valuing what they are doing and recognizing that even if their strategy isn’t as efficient as yours, it makes sense to their brain at this point and so is valuable. 5) and www.nrich.maths.org. It doesn’t matter if you get to the ‘right answer’ right away as the point is to think mathematically. If you do wish to solve a particular problem and you and your children don’t know how, keep at it and use whatever tools are at your disposal (the internet, calculator, phone a friend). Mathematicians use tools and collaborate. They are creative and try all sorts of things (and fail) before they solve problems. Engaging in some daily mental math practice and/or in these types of mathematical thinking activities will make a tremendous difference for your child (and maybe even for you too!). I need to mention here that our emotions are very closely linked to our ability to learn. This has been scientifically proven, but I’m sure most of you have had experiences where you were stressed out and went blank on a test or were desperately trying to cram for a test/interview but failed to commit what you needed to memory. To use this to help your child best, ensure that the math you’re doing at home is fun, not a chore or punishment of any kind. Flashcards and math worksheets can often be seen as boring and feel very punitive for kids and so even though they practice daily, they may not improve much. This can be fixed by making a game of the math and doing the activities I mentioned in this blog as a family with a focus on growing your brains. If your child does enjoy flashcards and worksheets but is using ineffective strategies or just memorizing, again, the benefits will be limited. They can absolutely practice using flashcards/worksheets but should still be using strategies as this is what builds number sense. Check out these cool flashcards you can print for free (at the end of the paper – although I recommend reading the paper as it’s a great read if you want to know why we need to do more than memorize). 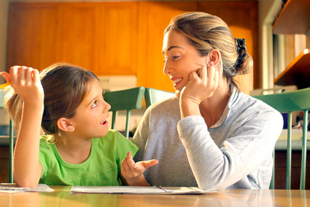 Better than any flashcard or worksheet is spending a few minutes daily engaging in math conversations with your children. Next PostNext Part 2: How Do I Assess This New Math Curriculum?